For the third time, NIIOS USA is organizing a Cornea Evening in the US that will coincide with the first day of the ASCRS. 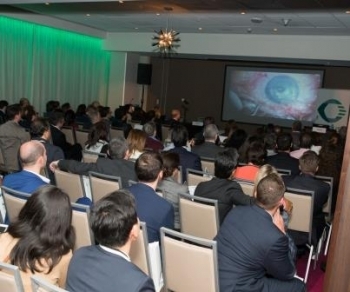 On Friday, May 3rd 2019 you will hear about the latest developments and insights in the field of corneal transplantation. We are honored to have internationally renowned speakers from different organizations as well as from the NIIOS Fellows Alumni Club and from the NIIOS team. During the evening there will be plenty of opportunity for networking and sharing knowledge and experience. We also invite delegates to submit a cornea case to be presented at the Global Grand Rounds session. NIIOS is organizing a Cornea Evening in Paris, France that will coincide with the first day of the ESCRS Congress. On Friday, September 13th, 2019 you will hear about the latest developments and insights in the field of corneal transplantation..
We are honored to have internationally renowned speakers from different organizations as well as from the NIIOS Fellows Alumni Club and from the NIIOS-team. 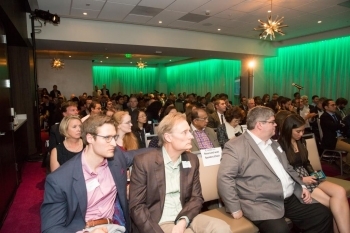 During the evening there will be plenty of opportunity for networking and sharing knowledge and experience.